To all football (soccer) lovers: The Ekstraklasa is back! Following the long winter break, the second half of the Polish Ekstraklasa (Division 1) season has begun. All the teams are back from their winter camps and ready to kick-off the second part of the season, which started on St Valentine’s weekend. After 8 weeks of frustration, football fans are again able to enjoy again the sport they love. Here is an overview on Krakow’s Ekstraklasa teams. The winter breaks in Poland for the Football League is very long and the reason is simple: the cold and long season. Playing in sub-zero temperatures and snow would be a killer for the players, the quality of the games, and the spectators, not to mention it would damage the pitches heavily. Pre-winter break performances: Cracovia on top of Wawel Castle, Wisła in trouble. Krakow is the only city of the league that has 2 teams involved in Ekstraklasa: Wisła Kraków and Cracovia. Both teams have their stadium located in Błonia Park. But both sides are fierce rivals, fighting every season for the pride of the city in the famous Derby called “Święta Wojna” (the Holy War), THE ‘Classic’ in Polish football. Generally, thanks to a bigger budget, Wisła has been performing better than Cracovia in the last decade, dominating the derbies and also faring better in the league. However, this year is a different story. So far, Cracovia is one of the surprises of the season; a big surprise even! They are currently #3 in the league table, and they’ve been spoiling their fans with many goals and an entertaining offensive play style. 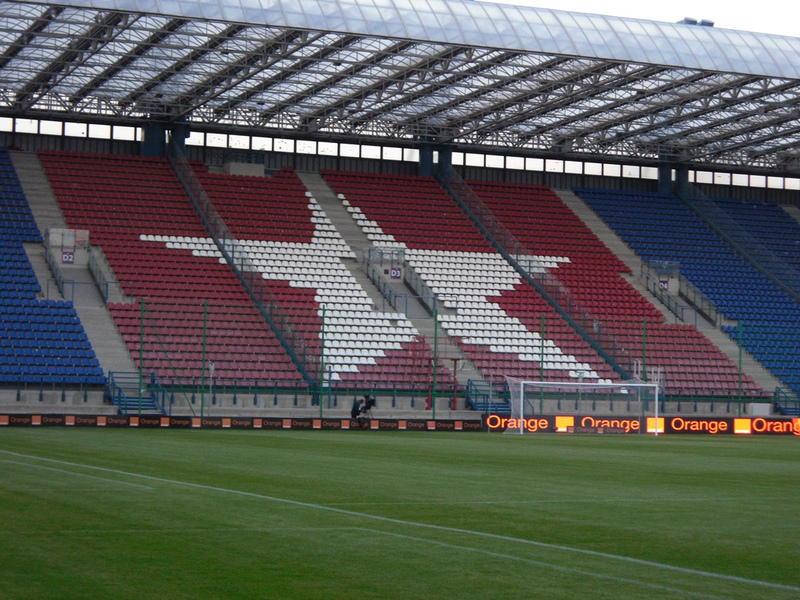 The highlight of the first season half was the derby Cracovia won IN Wisła stadium, a terrific performance. The ambition now is to extend their great season and try to catch an European Cup ticket. On the other side of Park Jordana, Wisła has been struggling with disappointing results and poor performances despite a decent season start. They lost their last 5 league games including the Derby, and they are in a worrying position in the league table, only 2 points away from the bottom spot. After sacking their coach, they will be fighting to get back on track. Wisła is a monument in the Polish Football landscape, and nobody could imagine an Ekstraklasa season without Wisła. Just like the majority of Ekstraklasa teams, both Krakow teams traditionally seek warmer regions to settle their winter base camps. Far from the Polish cold, and in ideal conditions to prepare the second half of the season. Winter camp: This year, the White Star (team nickname) traveled to Turkey and had their winter base camp in Belek, located in the Antalya Province (Turkey’s South West Coast), where they stayed for a week and a half. Friendly games: The season break and the winter camp were far from being a vacation, but rather hard training, team building activities, and games. And with 2 wins, 2 defeats and 1 draw, their overall friendlies campaign is decent – they faced, among others, Hungarian side Ferencvaros and Croatian giant Hajduk Split. Transfers window: Wisła saw 4 players leaving and welcomed 11 new faces, including 27-year-old Czech striker Zdeněk Ondrášek (nicknamed ‘The Cobra’ because of one of his tattoos) who moves to Krakow after 3 seasons spent with Norwegian side Tromsø IL. Winter camp: The ‘Pasy‘ (the Stripes, team nickname) spent about 2 weeks close to Alicante on the Costa Blanca, on the southeast Spanish coast. Despite their great season first-half, coach Jacek Zielinski wanted to keep his team focused high and avoid playing too relaxed. So hard work was also high on the program list. Friendly games: Cracovia won 3 of their 5 friendlies, losing 2, including to German Second Division side Kaiserslautern. A decent series, good for the confidence before attacking the second half of the season. Transfers window: 10 new faces joined the Cracovia A-squad, including the promising 18-year-old Hubert Adamczyk bought from Chelsea. And 4 players left the club, including the Latvian winger Deniss Rakels sold to Reading FC in the English Championship (Second Division). This one is a massive loss for the team, as Rakels was flying above the League, scoring in 15 in 20 games and spending the last 3 seasons in Cracovia. A hit for Cracovia but also for the Ekstraklasa. A season in the Polish Ekstraklasa is divided in 2 phases: the regular season where all teams face each other twice (once home, once away), then the Playoffs. In the Playoffs, the top 8 teams face each other only once in the Championship Round, a fight for the title and for the 2 spots in next season’s European Leagues. In parallel, the bottom 8 teams also face each other once in the Relegation Round, where the teams fight to avoid relegation (bottom 2 spots). So Cracovia missed the Championship Round last year, but managed to secure a new season in Ekstraklasa without too many troubles. This year is a different story: with their lightning season start their ambition is higher than that and should be in the top 8. Meanwhile, Wisła will face a moment of truth, a difficult situation they will have to get out of quickly. They will first need to find their stability and work on getting points, in order to get as far as possible from the red zone. Then they will be able to look up, but there is still a long way to go. Cracovia managed the perfect start of competition on St Valentine’s weekend with a neat 3-0 home win against a weak Górnik Zabrze side, the current league bottom. Kapustka, Jendrišek and Cetnarski had their names on the scoreboard and managed to prove the fans that, despite Rakels’ move to England, they still can run the show. But they weren’t able to reproduce their 5-star performance last weekend against Nieciecza, bouncing against a solid and well-organized team. The game was fairly open with goal chances on both sides. The home team opened the score after the break, before Cracovia equalized thanks to Jendrišek, who actually did score his 2nd in two games. The Slovakian winger is on fire and will definitely be a player to keep a close eye on. Next on their plate: Cracovia will welcome Zagłębie Lubin on Friday 26th (20:30). Besides the exciting race on top of the league table, all eyes were also on Wisła Krakow: everyone was curious to see their reaction. 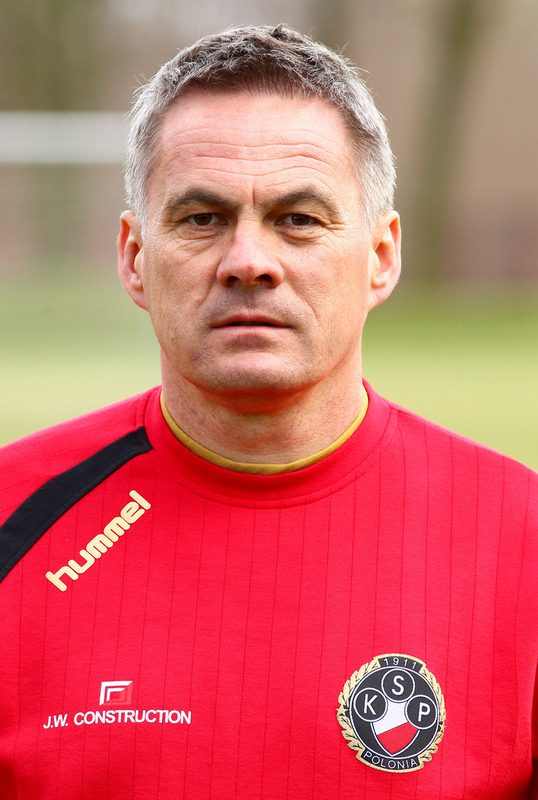 They traveled to Wrocław to challenge Śląsk, also currently in a difficult period. But, as feared by many, the overall level of play shown by Wisła was still too low. The lack of offensive inspiration was obvious; however, they managed to hold the zero, fighting to at least save a point. But history is repeating again, and another lapse of concentration allowed Śląsk to score the only goal of the game 10min from the end. Sour defeat. And last weekend at home against Górnik Łęczna, they had a new opportunity to book precious points against another team from the league bottom. Coach Pawłowski decided to line up an offensive XI from the kick-off, in order to put on early pressure and get the game under control. It worked. The White Star showed a much better face willing to go forward. They scored an early goal thanks to their Haitian International Wil Guerrier, missed another couple of chances but were also lucky not to see Górnik Łęczna equalize. But it was only a matter of time, and for the second time in a row Wisła did concede a goal in the last 15min of the game. A deserved equalizer for Górnik Łęczna and a fair punishment for Wisła’s defensive mistake, another one. But, looking at the bright side, this point ends their negative serie of… 6 defeats in a row! So, one precious and encouraging point, good for the recovery and for the morale. The next challenge for them will be a second home game in a row against Podbeskidzie on Saturday 27th (20:30), also a team from the bottom, currently with the same amount of points as Wisła (24 pts). But they will face a team full of confidence that just managed to beat last season league champions Lech Poznań 4-1!! Nice article Chafik, good to hear of another Ekstraklasa fan! 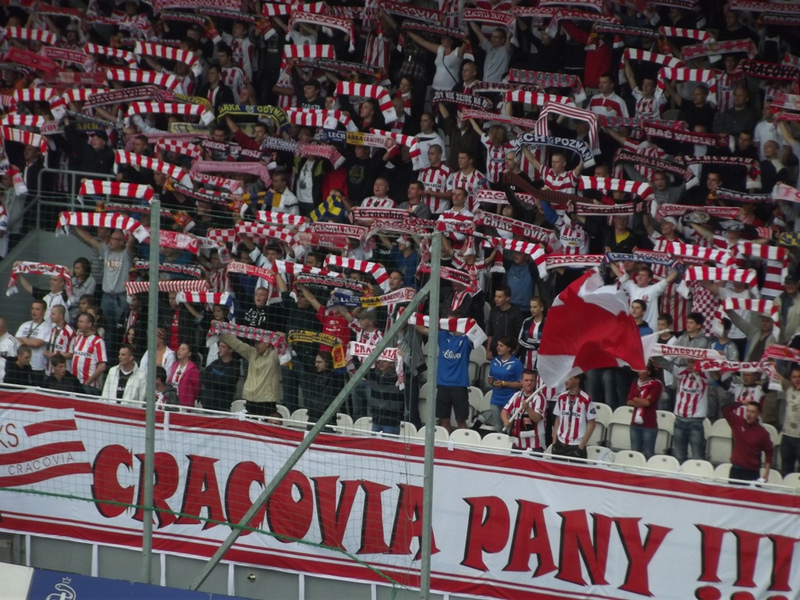 Wouldn’t it be amazing if Cracovia could make Europe next season? I think Rakels departure means they won’t. Thanks Nick ! Yeah it would be great to see European football back to Krakow next season, but I am not really optimistic. Seems like Rakels transfer hasn’t been digested, but they had to accept the offer, they couldn’t miss the opportunity.